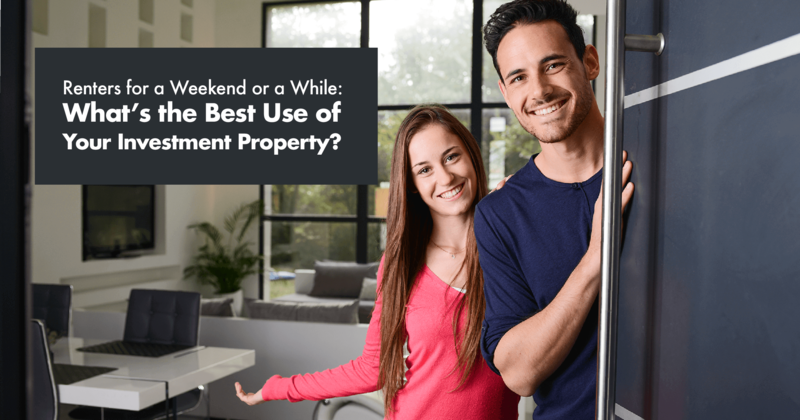 What's the Best Use of Your Investment Property? ﻿The residential rental market is now the fastest-growing segment of the housing market. In the United States, the demand for single-family rentals, defined as either detached homes or townhouses, has risen 30 percent in the past three years. And in Canada, rental units now account for nearly one-third of the country’s homes, with particular demand for multi-family units, including apartments and condominiums. At the same time, the short-term, or vacation, rental market is also booming. The popularity of online marketplaces like Airbnb, HomeAway, and VRBO has helped the short-term rental market become one of the fastest-growing segments in the travel industry. WHY INVEST IN A RENTAL PROPERTY? Appreciation - Appreciation is the increase in your property’s value over time. And history has proven that over an extended period, the cost of real estate continues to rise. Recessions may still occur, but in the vast majority of markets, the value of real estate does grow over the long term. Cash Flow - One of the key benefits of investing in real estate is the ability to generate steady cash flow. Rental income can be used to pay the mortgage and taxes on your investment property, as well as regular maintenance and repairs. If appropriately priced in a solid rental market, there may even be a little extra cash each month to help with your living expenses or to grow your savings. Hedge Against Inflation - Inflation is the rate at which the general cost of goods and services rises. That means as inflation rises, the money you have sitting in a savings account will buy less tomorrow than it will today. On the other hand, the price of real estate typically matches (or often exceeds) the rate of inflation. To hedge or guard yourself against inflation, real estate can be a smart investment choice. Leverage - Leverage is the use of borrowed capital to increase the potential return of an investment. You can put a relatively small amount down on a property, finance the rest of the investment with a mortgage, and then profit on the entire combined value. Tax Benefits - Don’t overlook the tax benefits that can come with a real estate investment, as well. From deductions to depreciation to exemptions, there are many ways a real estate investment can save you money on taxes. Consult a tax professional to discuss your particular circumstances.